The clear message from the new campaign–style commercial featuring Governor Pat McCrory misrepresenting the actions of his administration and the Republican General Assembly is that the folks in power in Raleigh are very worried about the overwhelming backlash against their right-wing agenda. No governor in North Carolina’s history has been forced to air television commercials to defend themselves just nine months into their first term. McCrory and his political team are obviously panicked about the governor’s plummeting approval ratings and the widespread protests against his agenda that are drawing huge crowds at Moral Monday events from Burnsville to Manteo. The disjointed commercial featuring McCrory delivering a number of carefully staged lines to a series of enthralled supporters at a faux reception was paid for by the Renew North Carolina Foundation, an advocacy group created by McCrory’s supporters that is organized in a way that allows its donors to remain anonymous. The chair of the group is longtime McCrory backer and former campaign official John Lassiter who McCrory also named head of the N.C. Economic Development Board that will oversee the privatization of the state’s economic development efforts, including incentive deals giving taxpayer money to private companies. That’s awfully convenient, having the same person raising anonymous money from corporations for the administration’s political arm playing a role in a system that gives millions of dollars to select corporations. And Lassiter is not the only one with a conflict. 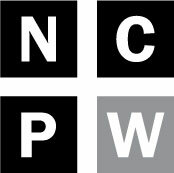 The President of Renew North Carolina is Bob Singer, a lawyer with the Brooks Pierce law firm in Greensboro. The firm has lobbyists patrolling the legislative halls on behalf of more than a dozen corporate clients, including United Health Care, Cisco, and the N.C. Petroleum and Convenience Marketers. It is pay to play politics at its worst and it is not the first time the Foundation has been involved in it. Late June, as legislative leaders were huddled in the backrooms making final deals about tax cuts and the budget and other important legislation, the Foundation held a private two-day event at the Grandover Resort in Greensboro. 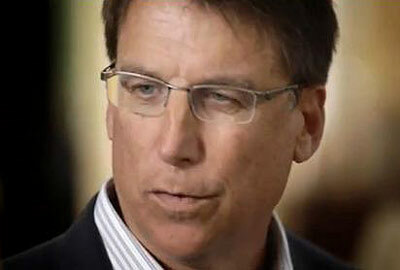 Folks forked over $5,000 to buy access to McCrory at dinner one night and at a policy briefing with him the next day. If they coughed up $25,000 or $50,000 they became year-long members of the Foundation that bought them access to McCrory in Greensboro and also at another retreat with him planned for later in the year. The cozy relationship with shadowy, big money donors is what McCrory ran against in both his gubernatorial campaigns in 2008 and 2012. It was part of his crusade against “the culture of corruption” in Raleigh. But now after only nine months, he has not only continued that culture, he has made it worse. McCrory bristled back in December when he was asked about the Foundation selling access to him to raise money, telling reporters that he was not “engaged” with the group. He was certainly engaged with the Foundation in Greensboro in June and even more engaged recently, making the contrived political ad, reciting misleading talking point after misleading talking point while the cameras rolled and the extras in the fake crowd smiled adoringly. McCrory comes across as an actor too in the commercial. The lines are stiff and rehearsed and we have heard them all before, as Republicans desperately try to convince us they increased funding for education this year when they slashed it or that they cut taxes for most families when only the super wealthy and out of state corporations will actually get a break. We are used to the disingenuous spin. It’s empty rhetoric that doesn’t mean anything. The lines we really need to hear are the promises and commitments that Lassiter and Singer and McCrory’s other pals at Renew North Carolina made to the special interests to convince them to pony up the big money to pay for the commercial that is trying to mislead us. A culture of corruption indeed. Above image: screen grab from Renew NC video – http://renewnc.org. Previous article Enough with the conspiracy theories!